Dr. Price is a licensed Marriage and Family Therapist in the State of Washington. He has a PhD from the University of Wyoming and a Master’s degree from Temple University in Philadelphia, Pennsylvania. Dr. Price has specialized training in individual, group, and family psychotherapy. 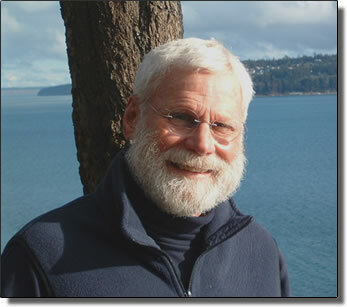 His distinguished professional work history includes a two-year post-doctoral residency in medical psychology at the Texas Medical Center in Houston, Texas; fifteen years practicing as a VA Psychologist from 1975-1990 with a twenty year collateral teaching appointment at the University of Portland Graduate School in the School of Nursing; Private health care consulting; and fifteen years serving as a faculty member and director of behavioral medicine at Family Medicine of Southwest Washington, a Peace Health Southwest Medical Center graduate medical education residency program affiliated with the University of Washington School of Medicine, Department of Family Medicine. As a member of both the American Psychological Association and the American Association of Marriage and Family Therapy he adheres to the highest possible professional standards of competence and professional ethics stipulated by their code of ethics, and by Washington State law. See Dr. Price’s complete Resume and contact Dr. Price for an appointment today.